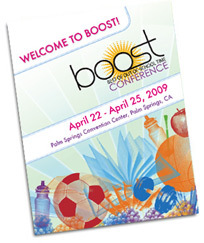 Please click on the 2009 Conference Brochure and download it to see what was offered last year in Palm Springs, CA! 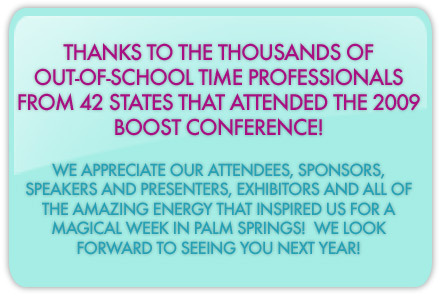 Free Web-based Programs That Are Perfect for Out-of-School Time! Getting Kids Back Outdoors: Inspiring Healthy Stewards of the Future! You Matter. They Matter. Be Creative.